Richard Wagner, the lauded 19th-century German composer of operas such asTristan und Isolde and Parsifal, had an anti-Semitic streak. It was more than just a streak. He discussed Jews throughout his writings, most notably in an essay, “Judaism in Music,” which derided Felix Mendelssohn and other Jewish composers, as well as the Jewish people in general, for corrupting German culture. Long after his death, Wagner’s anti-Semitism continues to cause many to chafe at his music. This is particularly true in Israel, where for decades no group publicly played any of his music, as part of an unofficial ban. Since then, no orchestra has performed Wagner again in Israel. The piece, the “Siegfried Idyll,” is a symphonic poem lasting just 20 minutes that Wagner composed for his second wife Cosima after the birth of their son Siegfried in 1869. But the fact that it was played at all has scandalized many Jews, The (London) Times reported Wednesday. Wagner was a hero of the Fuhrer, who admired and drew inspiration from the composer’s anti-Jewish essays, which raged against the “corruption” of the “German spirit” by Jews. Playing Wagner is obviously a sensitive subject for many Jews, and increased acceptance of the composer’s music may be a sign of younger generations’ increased distance from the Holocaust. Yet while Wagner’s views on Jews were unquestionably abhorrent, the opposition to performing his compositions only began after Hitler embraced his work. In the 1930s, the Palestine Orchestra (now the Israeli Philharmonic Orchestra) performed works by Wagner, including during its first concerts. The Philharmonic has intended to play Wagner since 1991, when member musicians voted to perform concert of his music in December, only to see Philharmonic officials cancel their plans. Playing Wagner in Israel is an issue that arises complex emotions. 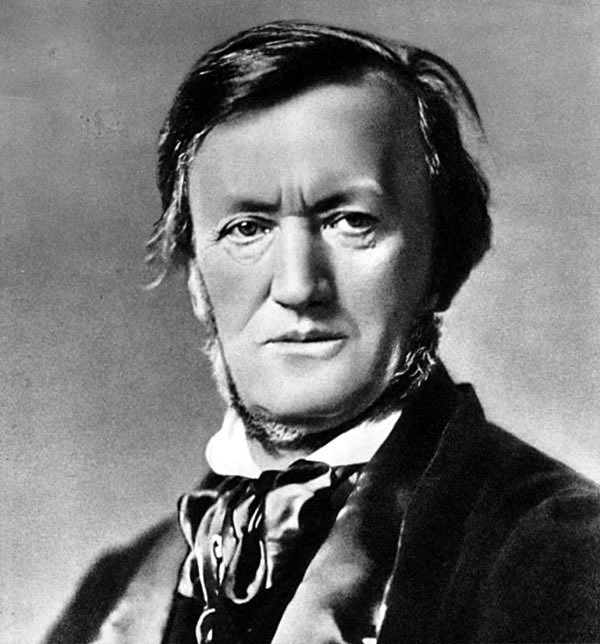 Some claim that Jews and Israelis should be able to appreciate Wagner’s music, irrespective of his anti-Semitic beliefs, and others argue that Israelis should play Wagner as a way to show the strength of the Jewish people, who thrive around the world more than 65 years since the end of National Socialism in Germany. And many believe that Wagner’s operas, no matter how impressive they might be musically, should not be performed in a Jewish state. Hopefully the Chamber Orchestra’s decision will reignite a debate that has lain dormant in recent years, which may someday allow more Israelis to realize that Wagner is much more than an idol of Hitler’s; he is a composer of great historical import who fundamentally altered the course of music. If Israel truly wants to consider its classical music scene among the best in the world, Wagner’s compositions ought to be a part of that scene. This entry was posted in Arts & Culture, Culture and tagged anti-Semitism, Bayreuth Festival, classical music, Germany, hitler, Israel, opera, Wagner. Bookmark the permalink. I am not sure if there is a right or wrong answer here; at the risk of “copping-out”, I will say “it depends”. Another analogy would be the great American poet, Ezra Pound. A rabid anti-Semite and traitor toward the US in WWII, he nonetheless is regarded as a tremendous force in US literary history. Should Jews-or for that matter, non-Jewsih Americans- not read him? By the way, unlike Wagner, Pound “got his”, spending time in prison and mental institutions following the war. It’s not an unreasonable argument but it misses the key point. Wagner was a virulent antisemite and his writings did serve to inspire Adolf Hitler, as Samets notes, but the connection is much deeper and the connotation much worse. Latter descendants of the Wagner clan were among the earliest and most prominent supporters of Hitler’s Nazi party, including one grandson who actually ran a Nazi death camp. The invasion of Poland is said to have been planned during a summer sojourn at the family’s Bayreuth estate. Worse, Wagner’s music was played over loudspeakers at the death camps “during executions, the purpose being to confuse the victims of the genocide, to quieten them, and also to drown out the screams of the dying“, according to musicologist Guido Fackler. There will inevitably come a time when it will no longer be taboo for Israeli orchestras to play the works of Wagner. It would be unfair to allow a man’s progeny and its shameful legacy to ultimately decide the fate of undeniably beautiful music. But that time shouldn’t come until we can, at the very least, be sure that no holocaust survivor is alive to hear it again. I think what makes the “ban” difficult for me is that it’s seemingly not based on the man’s beliefs, but on who his “fans” were. That’s a very dangerous slippery slope. Are we going to start going through every criminal’s library to create a list of banned works? Are we saying that without Wagner the Holocaust would never have happened? Neither argument makes sense. I can understand not inviting a living artist to perform at an Israeli festival if they have anti-Semitic beliefs, but the man is long dead and I believe his works are public domain. Banning them does not hurt Wagner or his descendants. All it can accomplish is to deprive Israelis of the opportunity to hear these works.